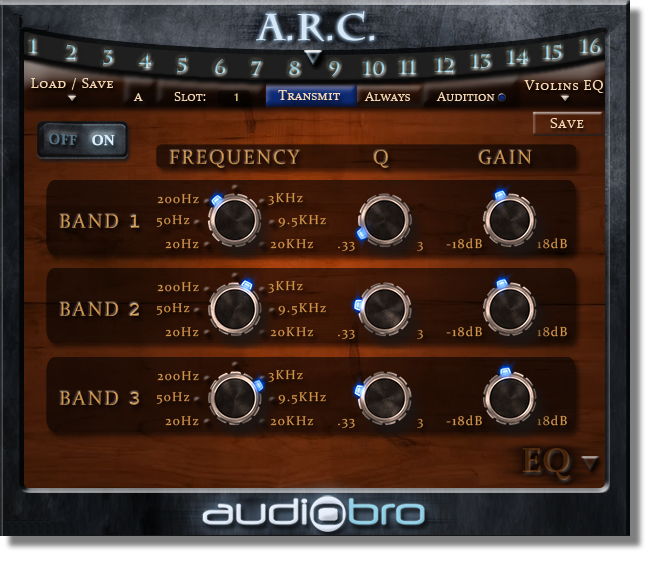 The ARC EQ is a way to change the EQs on all your patches — on one, many, or all patches in one simple process. There are default ARC EQ presets that match the instrument EQ presets so they both match up. You can also Save/Load EQ settings from the ARC and apply them to any number of LASS instruments inside Kontakt. The EQ in LASS is completely unrelated to our sonic profiles included in our Stage & Color page. Those sonic profiles (inspired by famous movies scores and orchestral recordings) use a completely different type of technology and does not hinder you adding your own EQ settings. You can read more about our Stage & Color page here.